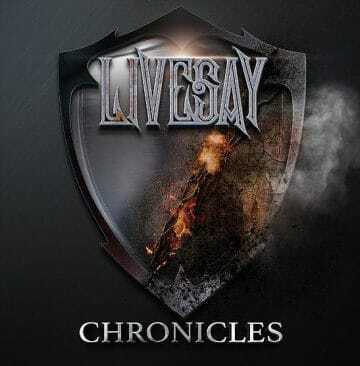 LIVESAY ARE ABOUT TO RELEASE A COMPILATION ALBUM ‘CHRONICLES’ VIA THEIR NEW RECORD LABEL RFL RECORDS ON OCTOBER 5TH. 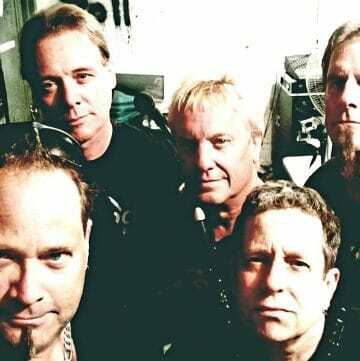 THE COMPILATION RECORD PROVIDES THE HIGHLIGHTS OF THE BAND’S 25 PLUS YEAR CAREER AS WELL AS ONE NEW TRACK TITLED “INTERNATIONAL MAN.” SLEAZE ROXX CAUGHT UP WITH THE BAND’S FOUNDER AND GUITARIST GREGG LIVESAY TO TALK ABOUT THE UPCOMING COMPILATION ALBUM AND TO DISCUSS THE GROUP’S HISTORY, WHICH INCLUDES HAVING A DIFFERENT LEAD VOCALIST FOR EACH RECORD THAT IT HAS RELEASED. Sleaze Roxx: Why the decision to release ‘Chronicles’ which essentially amounts to a greatest hits album with one new song? Gregg Livesay: We had a lot of people asking us where they could get the original records. The first one is out of print but the second and third are still available on all the various sites like iTunes, CD Baby, Amazon, Livesaybandofficial.com, etc. Still, we thought it might be cool to put the songs that were the most popular from the first three records on one disc. The idea is that it might be easier for people if they had it all on one disc. The new song is on there to introduce Mike Gill, our new vocalist, and to give a hint of things to come on the next CD. Sleaze Roxx: Tell me about the new track “International Man.” When was it written and what is it about? Gregg Livesay: We were in our hotel room rehearsing our set when I just blurted out I wanted to write this song. I have a friend who I’ve known for the better part of 34 years. He’s a great guy, great musician and a real character with fantastic stories from the road. He and his band were also playing the same festival as us and we were hanging out pretty much the whole weekend. From his stories of different shows over the years, fly outs, etc, it just hit me to write a song about it. I told my guys that I was going to write something called “International Man” and we all cracked up but it was perfect. It basically describes a musician living the “rock and roll life” so to speak and all the perks that go with that. When we got back home from the festival, I went right to work on it and finished it in about three days. 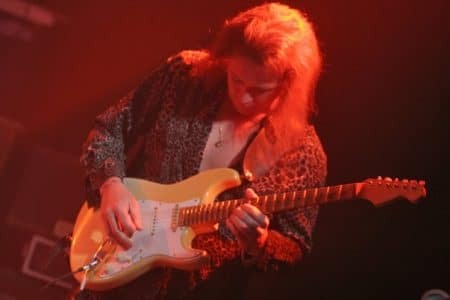 Sleaze Roxx: How did you end up choosing the songs that made it onto ‘Chronicles’? Gregg Livesay: Basically, it was a combination of what we thought were the strongest musically and also the ones that people really liked when they first came out. You can definitely hear how the band has evolved over the years. Sleaze Roxx: Two songs are from the unreleased demo ‘Live & Let Rock.’ Are there any other songs on that demo and if so, will they be getting released at a later date? Gregg Livesay: There aren’t any others from that time period, no. The unreleased songs were some of the very first we ever did as a band but they never made it on to a disc. People seemed to really like the song “Fallen Nights” when we played it back then so we figured what the heck… We’ll put it on this disc to let more people hear it. Track taken from the tape entitled “Under The Table”. 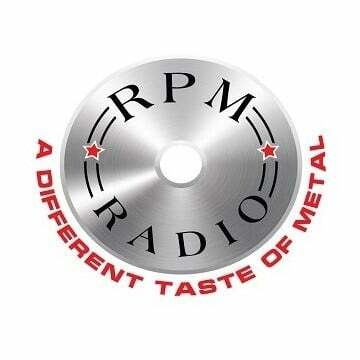 Wonderful melodic metal featuring virtuoso guitarist Gregg Livesay. His band, LIVESAY is up and running so go and get their CD’s!!! Sleaze Roxx: Notably, there are no songs from Livesay’s last studio album ‘Frozen Hell’ on ‘Chronicles.’ Why is that? Gregg Livesay: We didn’t include the songs that were ours from ‘Frozen Hell’ because they just appeared on that CD. That record is also on our former label so we chose to not use those versions. Sleaze Roxx: It’s been over 25 years since the band first formed. I know that you were reluctant to have the band named after your last name in the beginning. Any regrets looking back 25 years later? Do you think it helped the band or not to have your last name as the group name? Gregg Livesay: That’s very true in that I was extremely reluctant to use my last name for this band. I worried a great deal about backlash or accusations about ego, which is not who I am at all. Looking back, I don’t have any regrets because luckily no one ever made me feel weird about it. The band name itself gets butchered from time to time in pronunciation but that’s been happening since I was a kid so it’s OK. It actually cracks me up as to what people come up with when they say it. I don’t think it’s hurt us really. I can’t remember ever hearing an issue about it which was a great relief to me personally. In some ways, I think it has been memorable because it’s different. Sleaze Roxx: I understand that John Kivel of Kivel Records had the final say on the parameters for the songs on ‘Frozen Hell.’ From an outsider’s perspective, that seems a little bit unusual. Why did you agree to such a deal and do you have more autonomy now that you are with RFL Records? Gregg Livesay: When I approached John Kivel about working together, we had already done three records on our own and I was really trying to get the band to another level. We had no more dragons to slay around us but getting to the next level seemed to be something I just couldn’t get done for the band. I was very frustrated and so were the guys. When we decided to work with John and his label, one of the things he was very specific about was having final say on virtually everything. To be fair, he did ask for feedback on things at times but ultimately he was the deciding vote. It was his label and he seemed like he had a specific formula for us. We wanted to be good soldiers and deliver so we placed our trust in him fully. I can’t say I was totally comfortable with it but for the sake of the band, I did what I had to do at the time. We needed to branch out and he did make some things happen that we had never done before. Our relationship with RFL Records is totally different. We as a band don’t want to control anything. We want to work with someone. Our responsibility is to deliver a great record. The label’s responsibility is to decide how best to get it out and market us. Together, we pool our ideas with constant communication doing it in the best way possible for everyone. That’s the way it should be and I feel very fortunate to have that now. Sleaze Roxx: Speaking of RFL Records, how did you end up signing with them? Gregg Livesay: After we got back from the Rock N Skull Festival, myself, Mike Gill and our old drummer Tim had a meeting with John Kivel in early November of last year. John began talking about the next steps for the band, new CD, etc. About 10 minutes into it, I had made up my mind. The meeting did not sit well with me at all and when it was over I knew Livesay was done working with Kivel Records. I said nothing to anyone there and for months afterwards, I never spoke to anyone about it. I immediately began contacting other labels, submitting songs and had some serious discussions with three of them before deciding to sign with RFL. The people at RFL are the nicest and most refreshing group to ever work with. They are an extremely hard working up and coming label who care about the bands and want feedback on all aspects. Communication is constant and they encourage it. To me, that’s huge on its own. Sleaze Roxx: There has been a big gap — sometimes a decade — between the releases of Livesay’s studio albums. Why was there so much time between each album and is this something that you regret at this point. Gregg Livesay: Yes there have been gaps. This band with the exception of the last (‘Frozen Hell’) fully financed the first three cds. They were expensive to make mainly because we wanted to release a quality CD with studio recording and the best packaging we could afford. We did them as we could afford to pay for them and that’s pretty much the way it went. We played out constantly to support them as well which is good but can also become a distraction from recording the next CD. We are guilty of that but we do love to play live. Nobody was helping us so we really did the best we could. During the making of our third album ‘Awaken The Giant’, we had to fire our singer mid-recording because he just couldn’t hack it in the studio. This caused a major delay and that album sat for at least a year until we finally found someone to sing on the record for us. Finding a good singer who could handle our material vocally was very difficult. Regrets? Yes… I wish we had met our new singer Mike Gill years ago. For Livesay, it’s always been about singers but Mike is a God send. Sleaze Roxx: Why did Livesay part company with singer Shawn Pelata? Gregg Livesay: This band has always been about rehearsing together. Shawn lives in North Carolina and we are in the North East. It’s very difficult to get any kind of chemistry with your bandmates when you don’t see them or rehearse with them on a regular basis. He would fly in to do a show or record and then fly back home and that doesn’t leave much time to really jell as a band. I think we all kind of saw it for what it was and parted company. The band is in a much better place now with Mike Gill. Sleaze Roxx: How did you end up getting singer Mike Gill in the band? Gregg Livesay: We started looking immediately for a singer and John Kivel sent me a demo. I didn’t know Mike and I had never heard him before. He was doing a Zeppelin medley and I was just blown away. I called him, set up an audition and that was it. I knew after the first song he was the guy for the job. We all knew it and offered him the spot which he took. 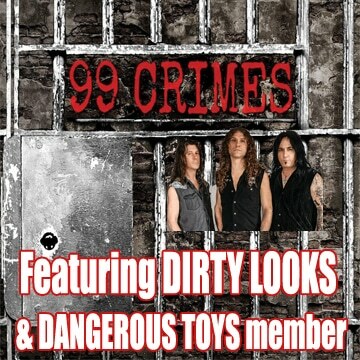 Sleaze Roxx: You also have a new bassist by the name of Rich Andrews. Why the switch from Alan D’Angelo to Rich? Gregg Livesay: Alan was with the band for 15 years. He was a solid bassist and a great performer and lyricist. He did not like the direction the band was going to take under Kivel Records and basically quit the night of our first band meeting with John. It was as painful for Alan as it was for us as his bandmates to see that happen. Probably one of the worst for me personally but that’s the business and this is part of it. Rich Andrews is a fantastic bassist and a super nice guy. He fits in perfectly with us and we’re really happy to have him. 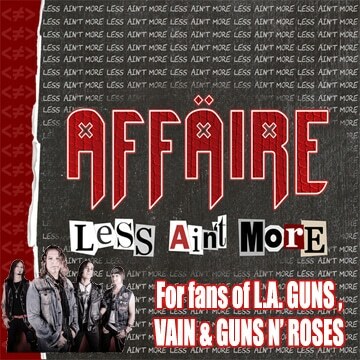 Sleaze Roxx: One other notable thing about Livesay is that the band has had a different singer for each studio album! The only constant in the band seems to be you and keyboardist Tony Stahl. A lot of times, bands are identified by their singers’ voices. Do you think that changing singers on every album has had a negative impact on Livesay’s ability to grow and expand from one album to the next? Gregg Livesay: The reason we have had a different singer on each album is because they’ve either had to leave or we parted with them. It’s not done on purpose — trust me on that. The single hardest thing for this band has been to find a singer who can handle our material and not burn out. Some of the guys burnt themselves out from pushing their voice too much. I think it has hurt us a bit because we’ve lost considerable amounts of time trying to find singers over the years. We’ve grown as musicians and writers for sure but you have to be able to find someone who can actually sing your stuff. That’s proven to be very frustrating at times. Plenty of people out there sing or like to sing, but there are only a handful of real singers who actually have it. 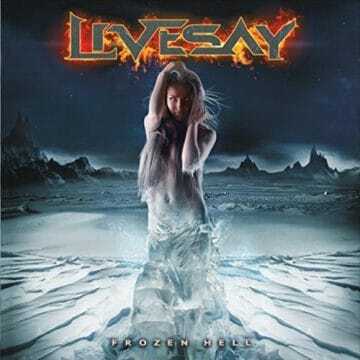 Sleaze Roxx: When can we expect a new studio album from Livesay? Gregg Livesay: We are planning on having a new full length CD out next year. We have already been working on the material for it so we will be ready. I’m happiest for Mike, Rich and Keith Michaels, our drummer. They will all be on it. 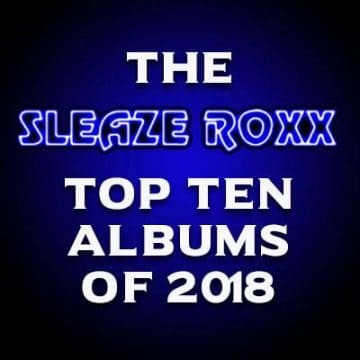 Sleaze Roxx: What are the rest of Livesay’s plans for the rest of 2018 and 2019? Gregg Livesay: First off, our new compilation CD ‘Chronicles’ drops Friday, October 5th on RFL Records. Of course, we will be out playing live to support ‘Chronicles.’ The first show is October 20th with Zebra and Kingdom Come at The Chance Theater in upstate New York so that should be great. In addition to other shows in the area, there will be a date at the Gramercy Theater in New York City later in the year. We have been confirmed for the Rock Stock Festival in Tampa, Florida the weekend of March 2nd, 2019, which will be very cool to play at as well. There are also quite a few radio interviews we will have and the times and stations will be posted on our page. People should check with the RFL Records website or the Livesay Facebook page for updates. 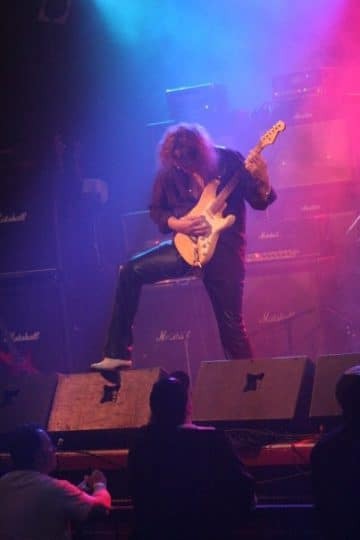 Gregg Livesay: First, Frank Marino and Mahogany Rush’s ‘Live.’ Frank was a God to me on guitar and probably one of the most underrated players of all time. He was the shredder of his generation bar none and still can hold his own to this day. I learned so much from him most importantly, that one guitar player in a band can do it all. Second, Jeff Beck’s ‘Blow By Blow.’ Beck is just an incredibly gifted, emotional expressive player. There is no one like him from his technique to his phrasing. He can literally make you cry with his hands. Third, Yngwie Malmsteen’s ‘Rising Force’ is an album that changed guitar playing forever. 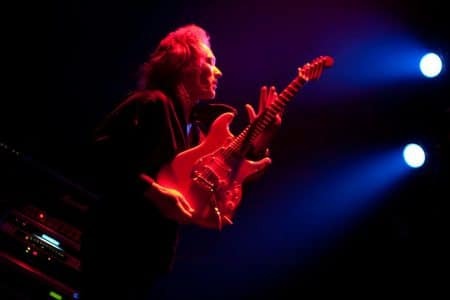 He ushered in a new age of guitar and a new level of playing that was so different in the context of rock and metal. Every song on that album is still jaw dropping. “Far Beyond The Sun” has never been equaled by anyone. Just a brilliant record.